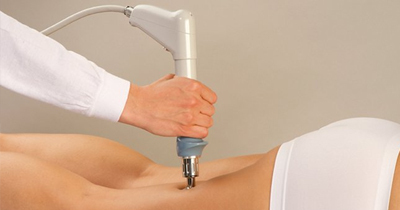 BTL Exilis Elite is the only monopolar radiofrequency machine which includes ultrasound in one hand piece. By using both energies together along with advanced skin cooling, you are able to safely heat the fat tissue deep down for excellent lipolysis (breakdown of fat), and, at the same time, promote better lymphatic drainage of the liquefied fat. This patented technology also results in skin tightness, tissue volume, tone and elasticity. Areas that can be treated include: stomach, love handles, buttocks, arms, inner and outer thighs, knees and back. After the first treatment you will already notice a visible difference in terms of skin tightening and tone. By the third treatment you will be amazed with the noticeable reduction and tightening of the area being treated. The long-term results - clinical trials have shown up to a 40% reduction of fat in the treated area - will be visible 3-4 months after the last treatment. A study carried out in Prague with 60 clients proved 7-8 cm volume reduction in the abdomen area. During the treatment, you will experience heat on the skin but no pain. Should any discomfort be experienced by the heat, the therapist is able to adjust the intensity accordingly. After the treatment you may experience slight redness of the area, but this will fade an hour or two after the session.